Day one, and again, Day 8 and 9. Athens. Who cares? I go to Athens much as Medieval pilgrims visited Jerusalem. 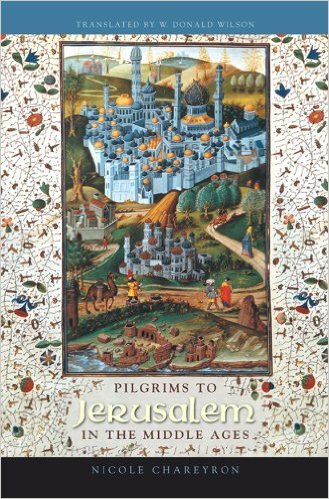 As an aside, I am reading a book right now, called ‘Pilgrims to Jerusalem in the Middle Ages’ by Nicole Chareyron. I think what makes Chareyron’s book so moving is the ‘reenacting’ nature of the Medieval pilgrim experience. It is quite clear that while they were in Jerusalem, they felt a literal, visceral connection to the life of Jesus Christ, and were, in some strange way, taking part in it. …And yet, there it was. They were ‘in Jerusalem’. And so it is for me, in Athens. 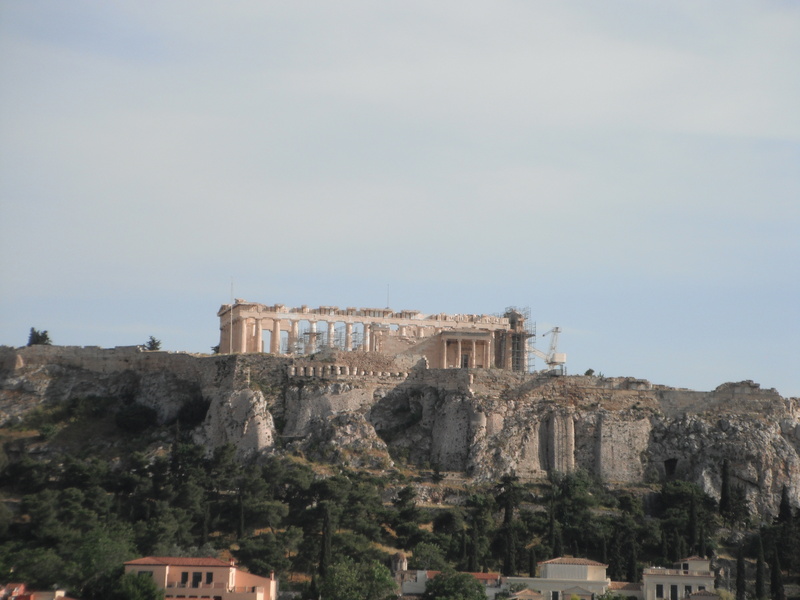 When I sit, tonight, in the roof bar of the Attalos Hotel and look at eye level at the Parthenon, I will tear up. While I know in my head that this magnificent temple is not a symbol of liberty, but rather, the extortionate tyranny of the Athenian Empire… it IS my favorite symbol of the birth of democracy. It has so many layers of meaning I’d be hard put to list them all in an essay. It is also a fantastically beautiful piece of architecture; the western world has spent several millennia emulating it. There’s a full scale version in Nashville, TN. It’s not just the Parthenon. Athens is a marvel, and to me, it is alive beneath my feet. I think that when I stand at the new Acropolis Museum, outside, on the plexiglass, with the open, live digs of the Medieval and ancient town beneath me, I am nearly in historical heaven. Saint Paul preached here; Pericles gave his orations, Socrates walked, talked, and annoyed; Nerio Acciaioli made himself Duke of Athens (William Gold’s arrogant friend). Arimnestos — the real one — probably received the plaudits of the Athenians here. Aristides and Themistokles struggled for the future of Athens, Phrynicus and Aeschylus and Aristophanes all performed their works here. Like those pilgrims in Jerusalem, I can see it and feel it and smell it as I go about. I don’t even have to wear my magnificent new thorax (a bronze breastplate) or drink from my mastos cup. That’s a mastos cup. Guess what ‘mastos’ means in ancient Greek? Anyway, I don’t need to wear my kit in Athens. But… I probably will….